How to live stream to facebook from DJI Drone? The best editor helps you easily edit game videos with powerful features. With increasing craze for Drones, market is now overloaded with so many latest designs and professionals as well as beginners want to share their flight experience on facebook. So here is the great news for you! The live streaming facility is available for DJI Drone users now. It is possible to share your content from drone memory to facebook directly with the help of iOS and Android devices. 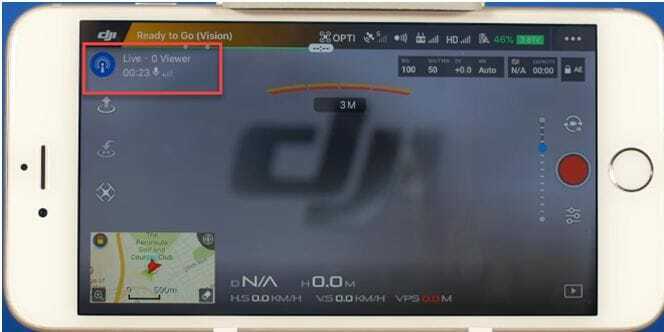 DJI has recently launched its DJI Go application that can be used with wide series of drones in order to share content on social media platforms like YouTube, Periscope and Facebook etc. Step 1: First of all you need to open DJI Go application; Download iOS app here users will soon find a 3 dot button on right top corner of their screen. Step 2: A New window will appear where you need to select the live broadcast platform. Step 3: From the available options, select facebook as your destination. Step 4: Now your application will ask you to login with the facebook account. Enter your id and password in the specified field and hit log in option. Step 5: You need to follow all suggested steps on screen just to authorize your DJI Go App to get connected with your provided facebook account. Step 6: As soon as these settings get finished, now your device will take you back to the DJI Go Application. 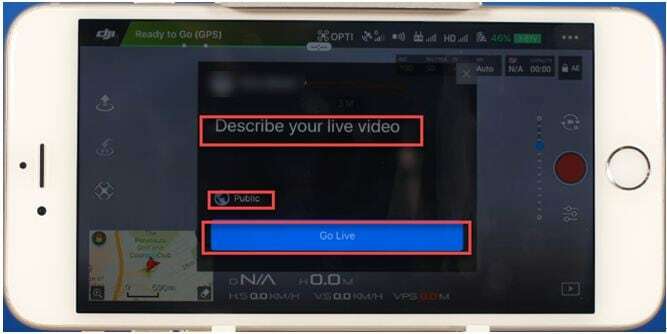 Here you will find option to go live; hit this option and it will help you to live stream your content within few seconds. Step 7: Next window will ask you for little description about your video; fill that content with impressive words and then select your audience from available option below. Finally click on the Go Live option. Step 8: Application will starts a countdown timer from 3. Step 9: As soon as your video becomes live, you will be able to find all the details about viewers, audio level and live time. All these details are indicated on the top left corner of screen. Note that it captures audio from your smartphone instead of picking any audio information from drone. In case if you want to disable this audio content then hit the blue icon that is available on top left corner of your screen. 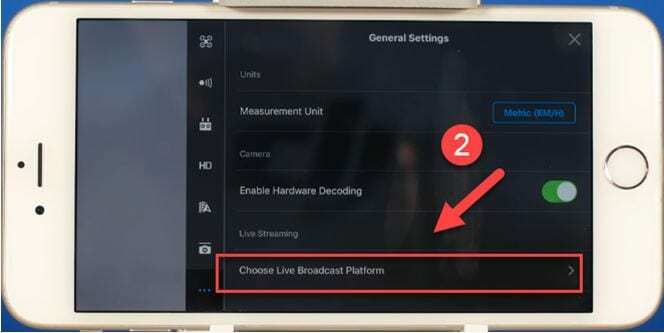 It is also possible to disable comments and audio and you can easily make choices to end your live video at any moment. You will be able to get detailed summery of your post and if you close the application then facebook will automatically save content so that it can be viewed later. Phantom 4 is a highly advanced and latest design in the drone series that can help you to control flights with ease. Its lightweight construction and compact size make it first choice of professionals. DJI Phantom 4 can record videos with 720 p HD view and it is able to stay in air for about 28 minutes. You will definitely love to explore its intelligent navigation system and speed.